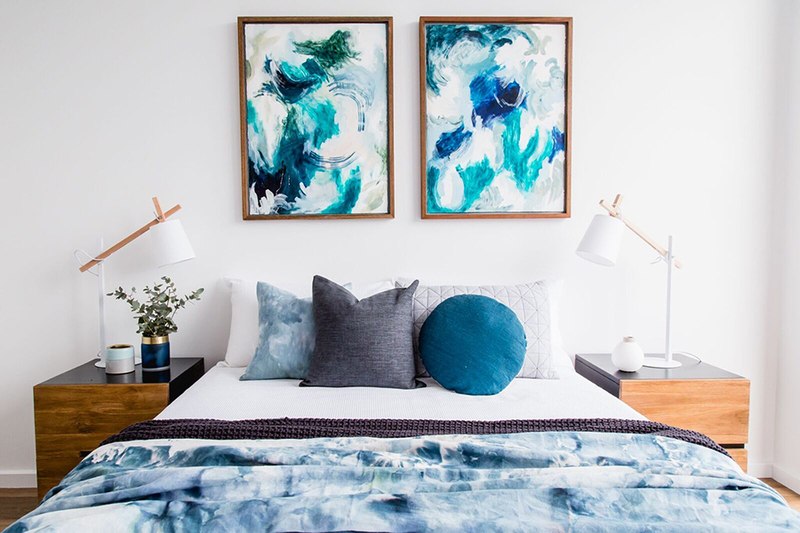 image features Whirlpool & Cobalt Tide: Ocean Series Artworks – Made by Hannah Nowlan from Grain of Descent. We chat with family business Grain of Descent as their prepare for the Finders Keepers Melbourne market. Catch them and over 200 independent art and design stalls at the Royal Exhibition Building this weekend! Grain of Descent is a family based business; our team consists of father, mother, daughter and son. The business is mainly driven by brother and sister, Michael and Hannah, however Grain of Descent wouldn’t have come into existence without our parents and their parents. It all began when each of us realised, we are all so passionate about utilising the skills and knowledge we have learnt from our parents and grandparents to create and inspire. We decided to come together, each bringing our own take on the artisan skills we have learnt from our descent; to create a variety of handcrafted and handmade objects. This is our Grain of Descent. image features Moon Shadows & Sunset Swell: Geometric Series Artworks – Made by Hannah Nowlan from Grain of Descent. 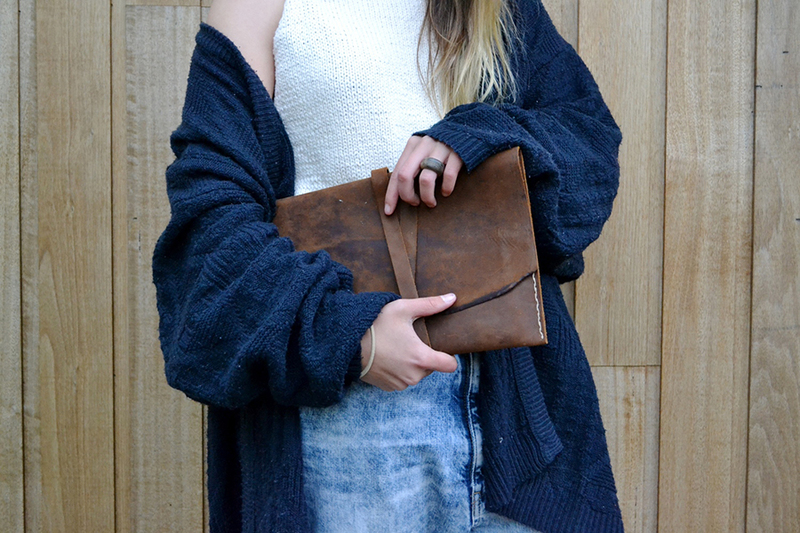 image features Handmade Bi Fold Leather Clutch in Chestnut Brown – Made by Hannah Nowlan from Grain of Descent. 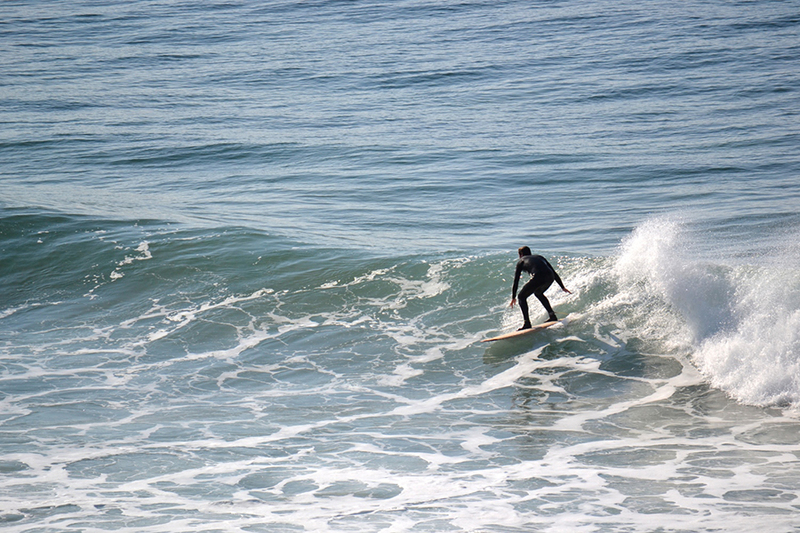 image features Our Wood Shaper surfing one of his handmade Hollow Wood Surfboards – Made by Michael Nowlan from Grain of Descent. Hands down our main inspiration and drive for all of us involved in Grain of Descent, has to be the ocean. It’s a powerful source for us; one which is always evolving and continues to revitalise our creative process. All our products are immensely inspired by Victoria’s surf culture and Australia’s coastline on a whole. We couldn’t work and make like we do, without our regular dose of Vitamin Sea. Tell us something exciting that you have planned for Grain of Descent this year. Grain of Descent will be taking a few big and exciting leaps in the coming months. Hannah our Artist is diving into the business to fuel a full time career. Whilst as a team we are in the early developmental stages of our new workshop build. The old back yard shed is having a big makeover! More space to create ultimately equals more making. We can’t wait to see our label evolve within the coming months and we are super excited to see what we create. 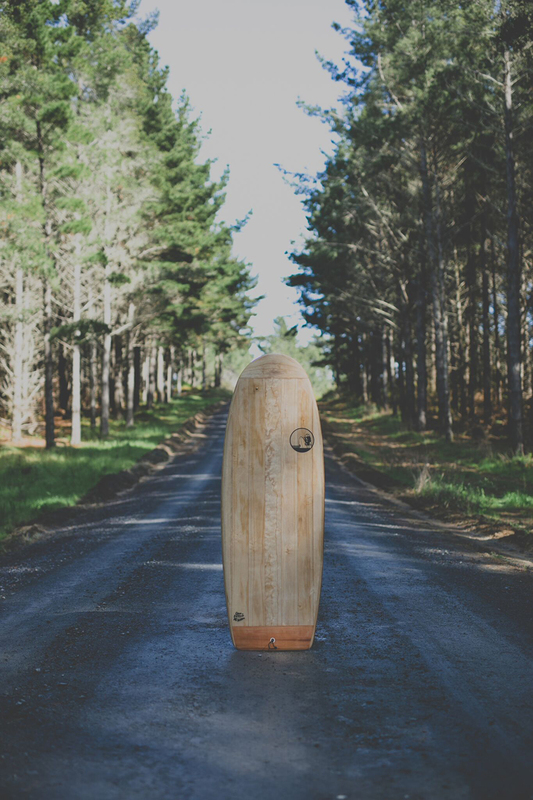 image features Custom made Hollow Wood Surfboard – Made by Michael Nowlan from Grain of Descent in collaboration with Artist Al Wrath. 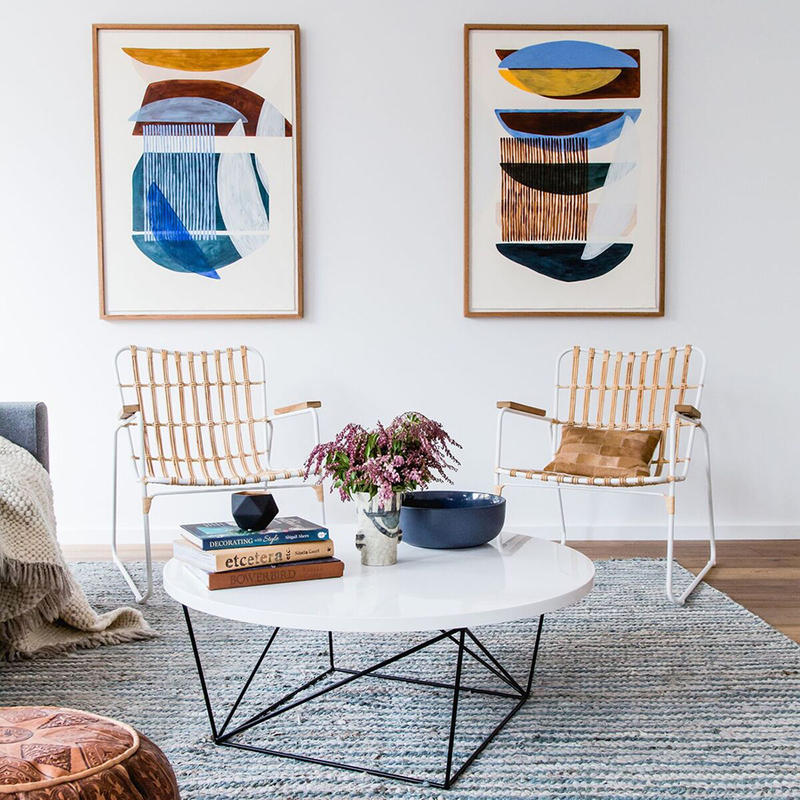 image features Side Walk Surfer Skateboards with inlay detailing – Made by Michael Nowlan and White Capped Surf: Geometric Series Artwork. Made by Hannah Nowlan from Grain of Descent. image features Handcrafted Alaia Surfboard, ready for its debut launch at SS16 Melbourne Finders Keepers – handmade by Michael Nowlan from Grain of Descent. Ummmm the answer to this one definitely has to be…. Coffee!!! It’s an essential part of our “keeping us sane” process, that we really couldn’t live without. But seriously, having a quick break from all our separate projects and sitting down for a coffee as a team is a powerful motivator. Our newest collection has lots of exciting elements this season however as a team we are probably most excited about our collaboration piece. 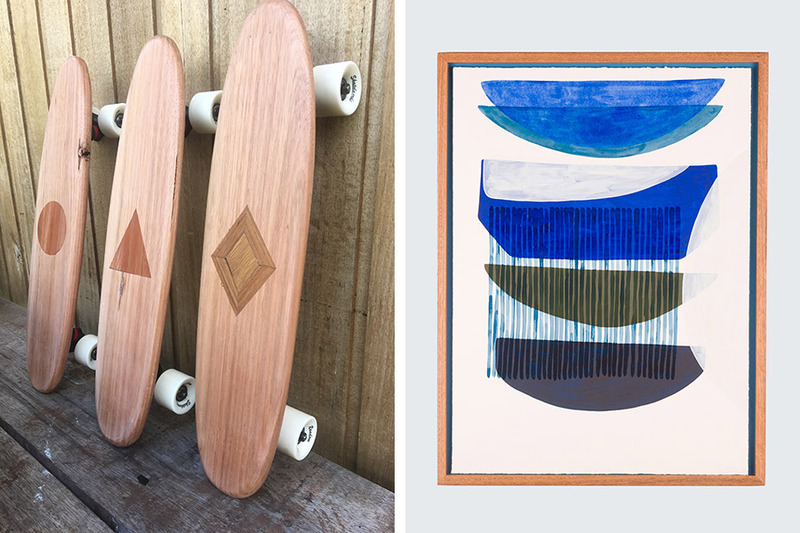 Yep, brother and sister; Michael (Wood Shaper) and Hannah (Artist) have teamed up to create a beautiful piece specifically for the Finders Keepers Market. A hand shaped Paulownia Alaia surfboard with a Geometric artwork running down the spine – this piece will have its debut launch at the SS16 Melbourne Finders Keepers! 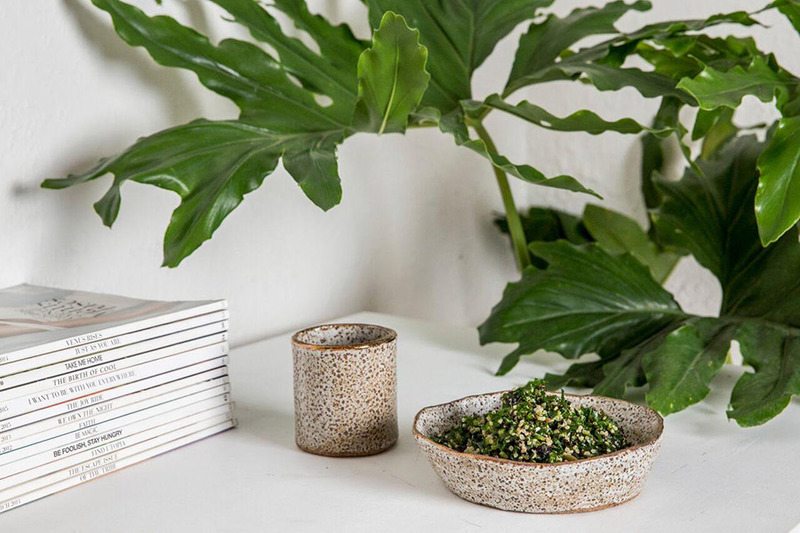 image features Handmade Ceramic Mug & Breakfast Bowl in white speckle with rose gold rim – Made by Hannah Nowlan from Grain of Descent.